Doug Ryder, president, Holy Cross Germantown Hospital. 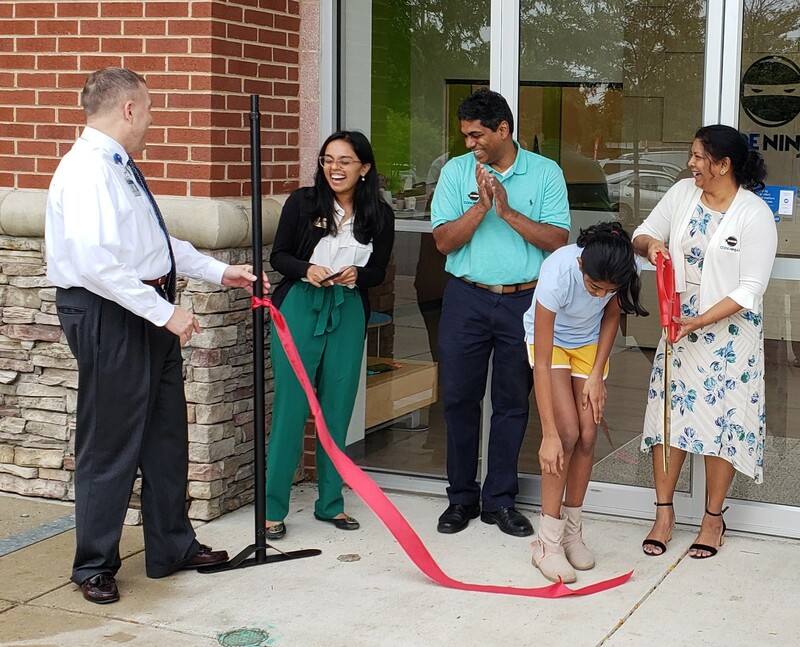 ; Nina Ganti, Office of Congressman Chris Van Hollen; and Tarun Rawat & Krishna Penumaka, partner & owner, Code Ninjas, celebrate the grand opening of Germantown’s Code Ninjas. Prepare to be amazed as your child gains ninja coding skills and confidence along their journey from white to black belt at Germantown’s newest spot to code for kids. The Gaithersburg-Germantown Chamber of Commerce (GGCC) supported Code Ninjas and celebrated the grand opening of their new location by conducting a Ribbon Cutting Ceremony on Thursday, Sept. 27. They are located at 12974 Middlebrook Road, Germantown. At Code Ninjas, kids (ages 7-14) have fun building video games while learning to code. Their curriculum is structured on a martial arts theme, so kids begin at white belt learning basics of program coding, and progress through various levels of belts to reach black belt, where they have to develop a full-scale app and price it, market it and publish it in the App store. Kids have fun learning to code while building video games. Turn your child’s love for computers into a learning adventure. There are programs for every child and every schedule. Children will demonstrate progress in coding, math, logic and problem solving. Learn more at www.codeninjas.com/locations/md-germantown. 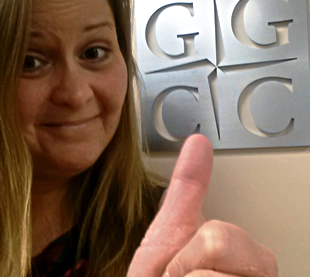 The GGCC is located at 910 Clopper Road, Suite 205N, Gaithersburg. 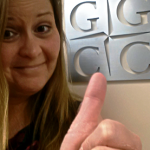 To learn more about the GGCC visit us at www.ggchamber.org. Laura is the Director of Events & Marketing for the Gaithersburg-Germantown Chamber of Commerce - a member-based organization of businesses that have joined together for the purpose of promoting the civic, commercial and industrial progress in our communities. The area's economic well-being is a result of the caliber of work that is done by the Chamber. The Chamber has a major impact on business, income and future growth of the area. My position at the Chamber - Director of Events & Marketing - affords me the opportunity to plan quality events for our Members and market the Chamber is a variety of avenues. At the GGCC, we typically have around 30 events each year including: breakfasts, lunches, after-five's, ribbon cuttings and special events. The consensus is we have high quality events with good energy. In 2012, we had over 2,040 people visit our events. Most our events are free to Members so securing sponsorships for all events. Additionally, I am responsible for planning networking, overseeing the budget and marketing of all events in order to make them successful. Lastly, I coordinate all marketing and communication efforts of the GGCC including weekly email blasts, its quarterly newsletter, all social media platforms, media relations and community outreach. Laura authors the blog Your Success is Our Business on MyMCMedia.